A truly fresh and formidable debut by Emily Haworth-Booth. 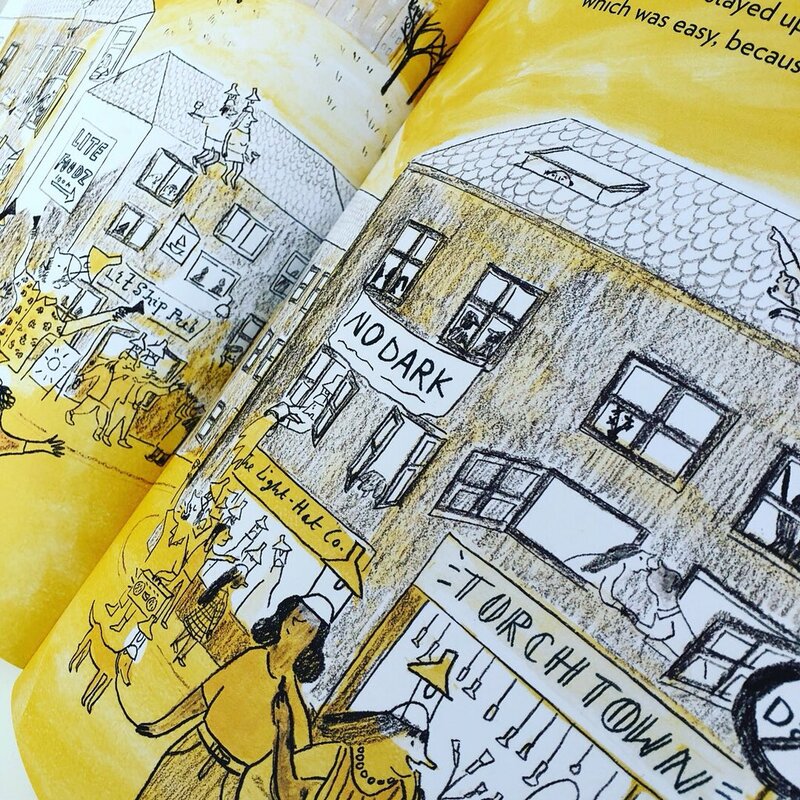 This is an outstanding first offering from the multi-faceted author/illustrator, undoubtedly a new name to keep an eye on. 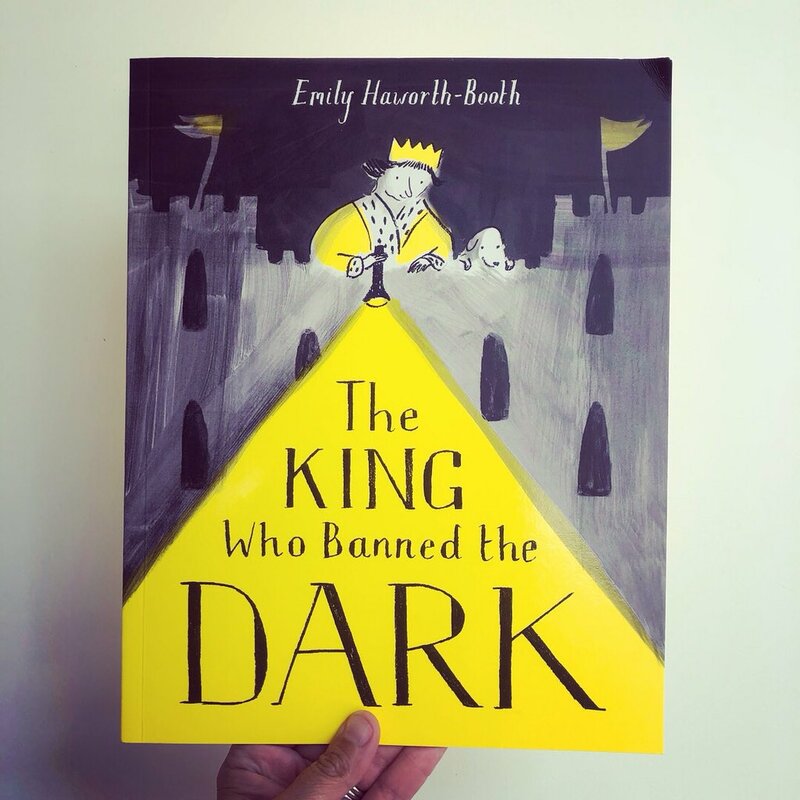 ‘The King Who Banned The Dark‘ is a humorous and shrewdly observed modern fable with clear political undertones. 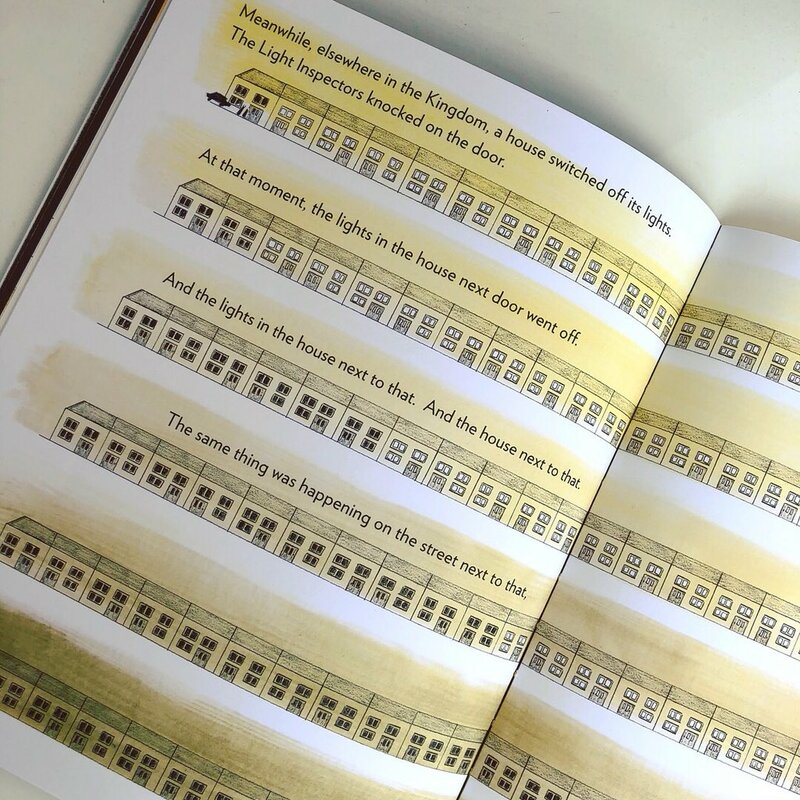 A thought-provoking tale, highlighting the importance of the dark in order for us to enjoy and appreciate the light. The newly appointed King arranges to ban the dark & claims the negative effects it has upon his people, so he installs an artificial sun and enforces anti-dark laws, but at what cost? What will happen when nobody can sleep, and the citizens begin to revolt? Will the King face-up to his fears and turn the lights off? Haworth-Booth‘s astute narrative, coupled with her distinctive illustrative style makes for a sagacious story. Pitched perfectly for a younger audience, this shrewd story sheds light on the manipulative behaviours of those in power and supports the need to stand up for what is just. 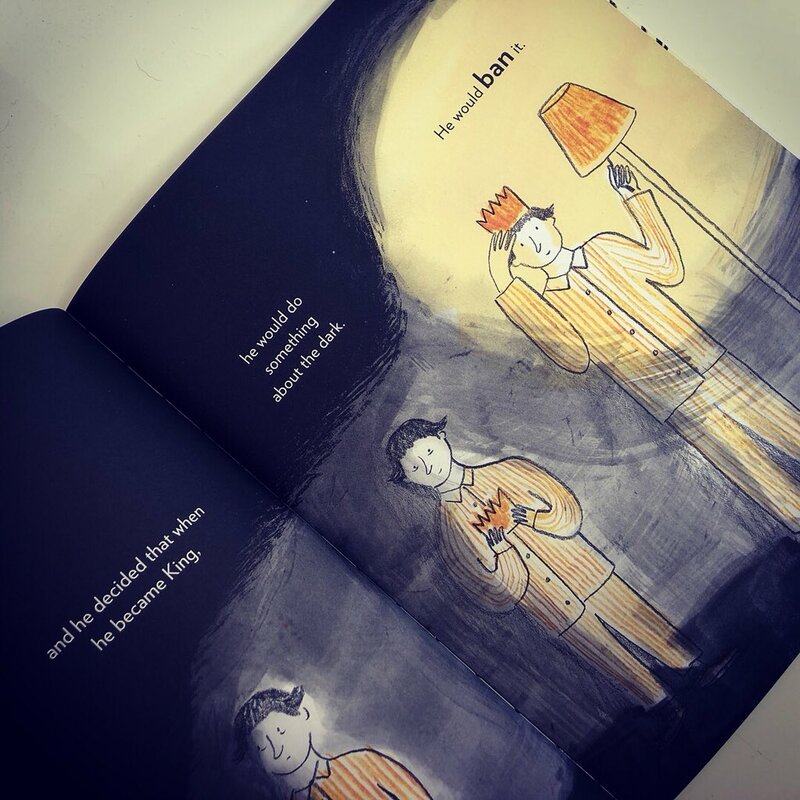 This is without doubt a book to be shared with young people everywhere, positively promoting the power of the people, culminating in a joyous twist at the end of this illuminating tale. With a limited yet hugely powerful palette, this makes for a delightful read and one which will be integral to inciting discussion among our future revolutionaries. ^ I have never seen anyone highlighting picture-based novels. 🙂 It’s cool, you know.